Whilst in Madrid we were staying at Playa de Mayor which is off one of the main squares. On the first day we went for a little wander around the local streets, and within a very short distance we had found a small bustling area surrounding a market hall. In the guide book it did mention that there are lots of little markets dotted around the city. We were definitely ready for food after an early start to get on the first plane to Madrid that morning. 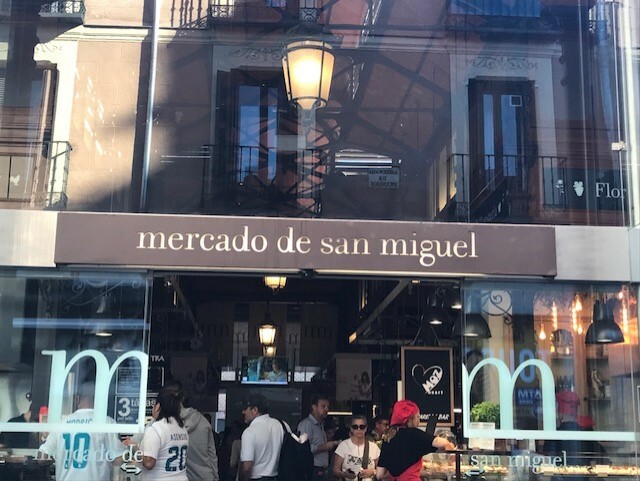 Mercado de San Miguel was the perfect place for us to get our first taste of what food they had to offer, and I have to say it definitely did not disappoint. This market is just a food market, which for three girls who love their food our eyes instantly lit up at all of the different stalls. 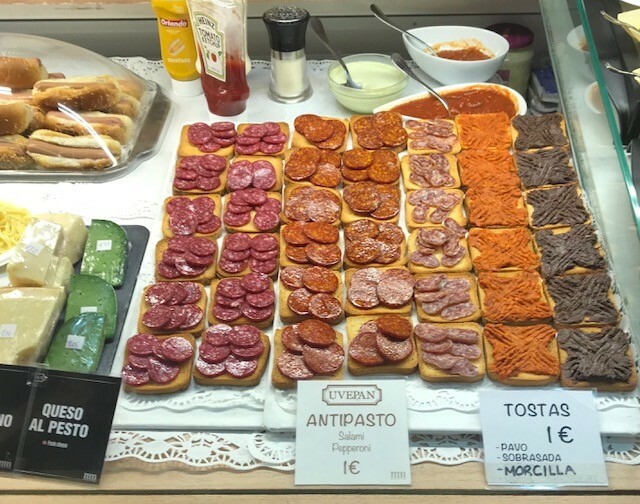 It was great as the stalls had different type of tapas, and instead of having to buy one big meal a lot of the food was sold in bite size canapes. Everyone took a plate, and filled it up with food from all of the different stalls making it like one big buffet. 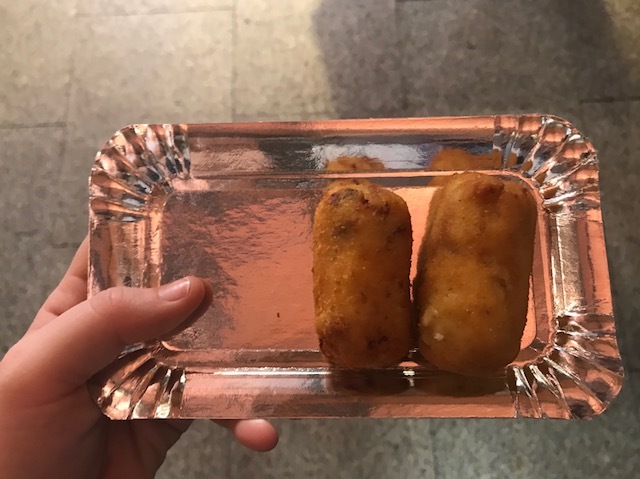 I started with eating with ham croquettes which tasted so nice, the texture was the perfect combination of crispy and smooth. 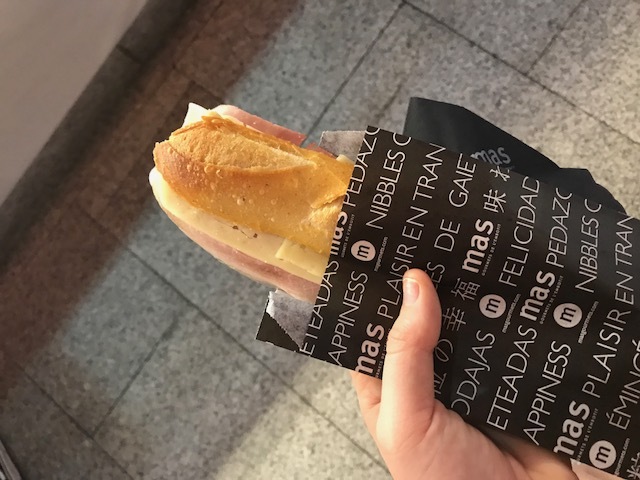 I then choose a parma ham and cheese baguette which was a little bit smaller than your average baguette, however this made it not too filling and the ham was delicious. 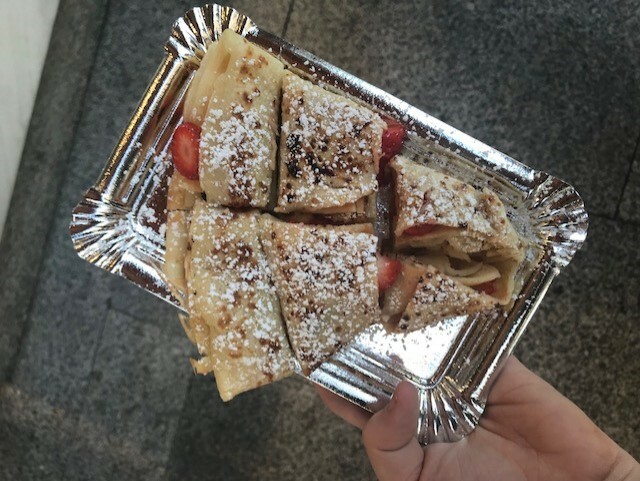 I then finished up by eating a crepe with lemon, sugar and strawberries which was the perfect finishing touch to my delightful dinner. After we had all eaten we decided to have our first taste of sangria, we chose the strawberry option and it tasted sensational. 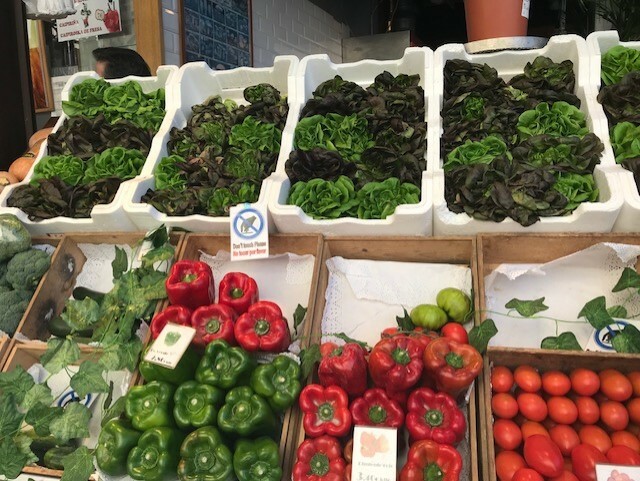 On the last day we made a second visit to the market as there was so much more food we wanted to try which we had seen on the first day. 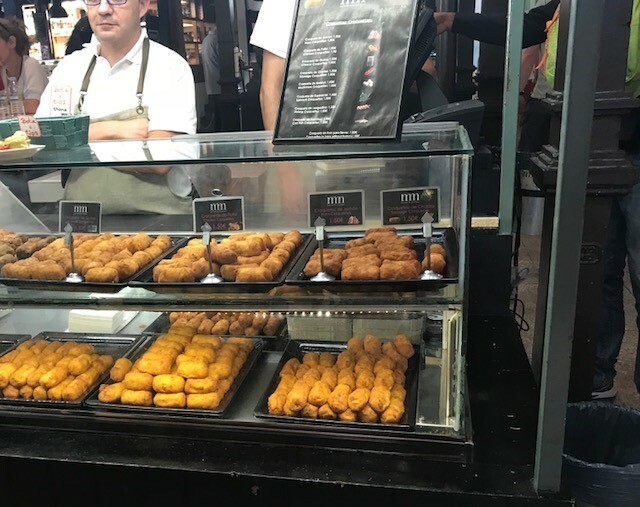 I just had to get two more of the croquettes from the stall from the first day. This time I got one cheese and one ham to see if the cheese was just as good as the ham, and I can say it was just as delicious. 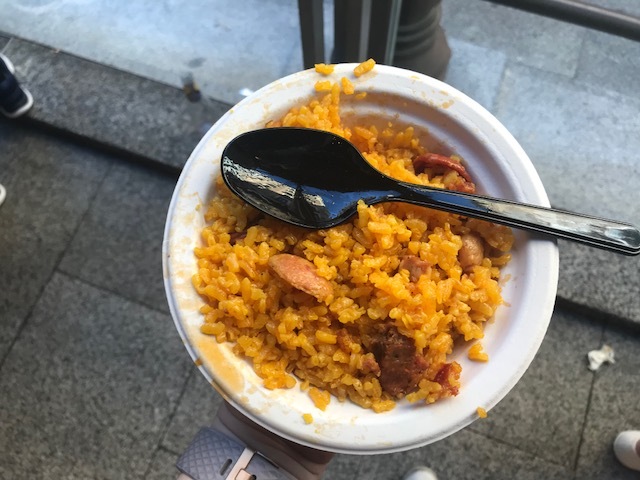 On the first day one of my friends had tried the vegetable paella and said it was gorgeous, therefore I took the plunge and tried the chorizo and chicken paella and it was honestly the best I have ever tried. It was very filling and was only 5 Euros. 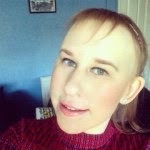 I also picked up a fruit smoothie, which tasted lovely and they had all different flavours on offer. 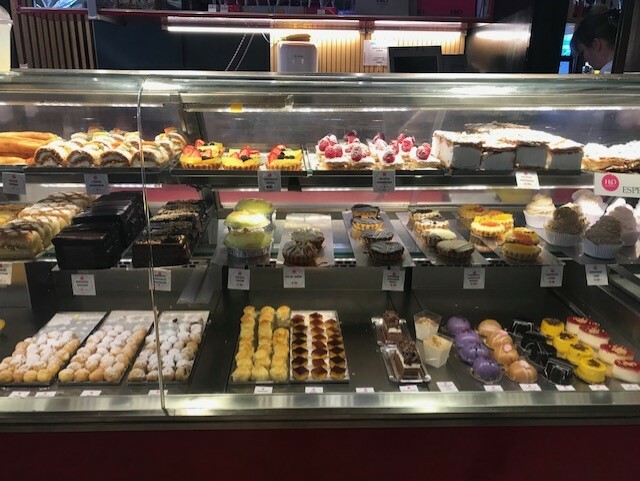 We were all really impressed with the prices of the food and drink, as nothing was overpriced and it was great as you was able to try a variety of foods without the spending a fortune. This market is definitely worth a visit and is in a central location which is easy to get to by public transport. It is open for the early morning into the evening, so depending on what time of the day you go you will definitely be able to find something to eat and drink.